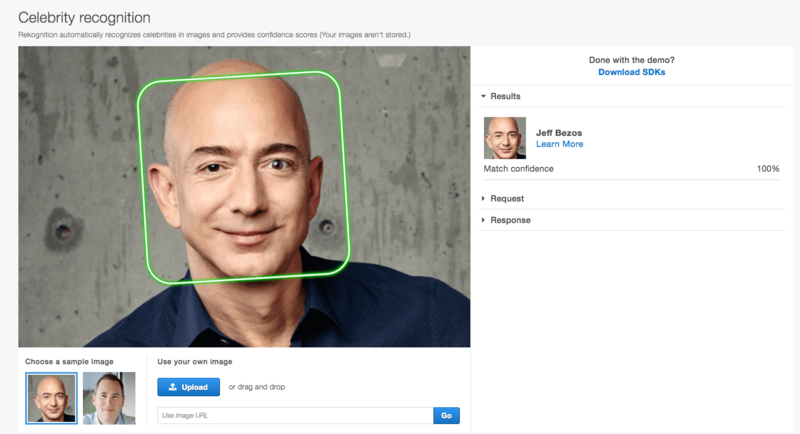 Last year the world found out about Rekognition, facial recognition technology developed and sold by Amazon. Unsurprisingly, the company came under fire from privacy advocates and civil liberties organizations. But criticism came from within, too, when hundreds of employees wrote to CEO Jeff Bezos to voice their concern. Since then, Amazon has been trying to fight the proposal. Amazon attempted to use rules set by the Securities and Exchange Commission (SEC) to try and avoid a shareholder vote on the matter. But the SEC ruled against Amazon on March 28, and again on April 3 after Amazon appealed. Now Amazon is facing up to the realities of their shareholder’s rights, and have said that a vote will take place at their annual shareholder meeting on May 22. There are some important points to note. First, the sales ban is only to governments and governmental agencies. Even if the vote were to be successful, Amazon would not be prohibited from selling Rekognition to any other private company or individual. It may even be the case that law enforcement agencies could outsource facial recognition to third party companies who may still be able to buy the technology. Second, the ban would only be in place unless or until Amazon could provide “independent evidence” that no rights were being harmed. Whichever way the vote goes, we’ll be sure to update you on May 22. "Even if the vote were to be successful, Amazon would not be prohibited from selling Rekognition to any other private company or individual. It may even be the case that law enforcement agencies could outsource facial recognition to third party companies who may still be able to buy the technology." So its all a sham, basically. They'll spin it off to a subsidiary or some other entity Amazon controls, the government sales opponents can brag about their "activism" and everyone still makes their money. Oh good.. I definitely wouldn't want the cameras at the schools near me to know when a sexual predator is sitting at the park bench across the street watching the kids. THey have to make sure 'the technology does not cause or contribute to actual or potential violations of civil and human rights.' POTENTIAL violations? If we restrict every technology because of the POTENTIAL of use in a crime we may as well just stop creating new stuff now. EVERY technology has the potential to be used in a crime. Facial Recognition is basically focusing on key points of the face and checking to see if they coincide with the live image they scan. It's not hard to write software for this...we've been doing it for years. How hard would it be to buy it from the Chinese? Are these shareholders somehow under the belief that only Amazon can develop facial recognition tech? Just out of curiosity what percent of shareholders does it take to get something on the ballot? Can you do it for a single share? 100 shares? Yes people who don't know much or completely oblivious to advanced computer technology is literally stupid. We need to start somewhere and Amazon sell a turn key system that police department IT folks just use without understanding the nuance of the technology. How many time have you heard, we can't do it because the computer says so? How many police departments will be saying, well it's "you" because the computer says so. They are offering a turn key solution so the idea is to start somewhere. Yes, and within the U.S., that place is US lawmaking. Congress can set rules by which police departments operate. Amazon can not. For influencing outside of the US, you could similarly lobby to make it illegal to export facial recognition tech. But an experienced diplomat would probably tell you the US would retain more influence by continuing to be a market leader, and the NSA would [not] tell you that of course they want to be able to back-door the heck out of it..
Shareholders are allowed to put forth governance rules as well. This is a governance rule. No one is saying they are not allowed. Just that they are being silly by mis-identifying the nature and source of the issue, and by spending time and resources on a frivolous non-solution that will not make anything better. Oh, they won't sell it, it will be "leaked" and governments around the world will re work the software anyway. The "one world order" wants it, and they will get it, one way or another. The simple problem is, as demonstrated on so many occasions, once the technology is out there, it proves nearly impossible to control. When a building owner mounts a camera outside their building, they capture everything and create a double edged sword. It's great when you want to catch a criminal but it's evil when used against everyone else no matter what the reason.